Blue Badge Holder in Lanzarote? Make sure you know where you can park and your rights when in Lanzarote. 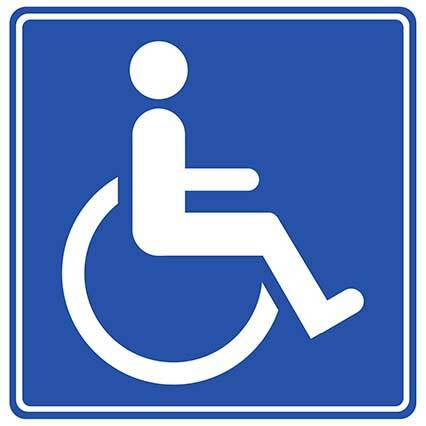 The Blue Badge is a standardised European Community disabled person’s parking permit. 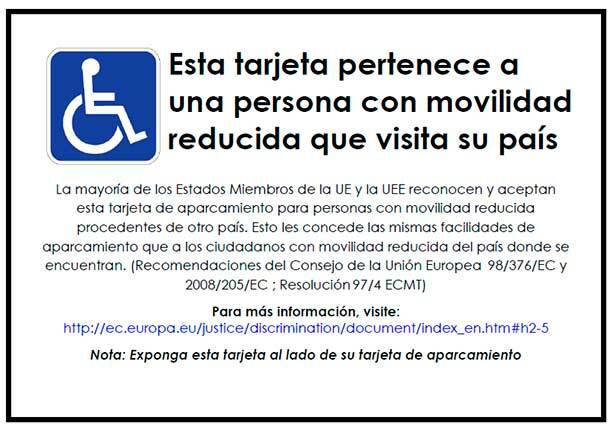 Blue Badge holders are entitled to certain reserved parking across all compliant European countries. A Blue Badge from one country is valid in another. 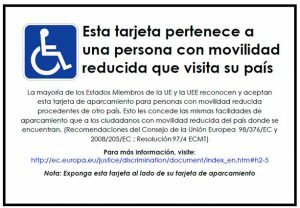 Whilst not necessary, it is advisable for drivers with a blue badge from another European country to display this Spanish translation beside a badge written in another language which will remind local authorities of your rights in accordance with EU law. Download this printable card to display next to your Blue Badge.